Jack ended his undercover career living nearly two years in Boston and New York City, posing as a fugitive drug dealer wanted for murder, while tracking members of a terrorist organization that robbed banks, planted bombs in corporate headquarters, court-houses, police stations, and airplanes and ultimately murdered a New Jersey State Trooper. You can vote once per day. No registration required. Rob Nicholson is the longest serving Attorney General in Canada right now, and he is also one of the longest serving in Canadian history. Jonathan Denis appears to be the youngest Attorney General. He is 37 years old. Most provinces have combined the positions of Attorney General and Solicitor General into one Ministry of Justice. In a few provinces, the Attorney General is responsible for the Ministry of Justice and there is a separate Minister of Solicitor General / Public Safety / Corrections. Prince Edward Island has the most interesting combination: the Department of Environment, Labour and Justice. It makes sense if you think about it. However, it probably only works somewhere relatively small (like PEI) due to the workload involved in each portfolio. Last Thursday I attended the AGM for the BC Criminal Justice Association. The BCCJA is group that encourages learning and dialogue about criminal justice issues in British Columbia. I am a member of their parent organization, the Canadian Criminal Justice Association. If you are a member of the CCJA then you automatically become a member of the provincial affiliate (if one exists in your province). The AGM was held at the Justice Institute of British Columbia (JIBC) in New Westminister. Most of the BCCJA board was there, as well as a couple of guests like myself. Chris Thompson stepped down as president, having come to the end of his term. Tim Veresh was elected as the new president and Hank Mathias was elected vice-president. A big topic of conversation at the AGM was the upcoming 34th Canadian Congress on Criminal Justice. This is a major project for both the BCCJA and the CCJA right now. This conference will be held in Vancouver from October 2 – 5. The theme this year is “21st Century Justice: The Economics of Public Safety”. A partial conference program is available here (1.5mb PDF file) and the early bird registration deadline is July 1st. One other point that came up at the AGM. Tim Styles and Art Gordon publish the BCCJA newsletter, a quarterly collection of links to media articles about criminal justice issues. They have been doing this for years. Now they would like to pass it on to the next generation of volunteers. This newsletter gets read across Canada so it is a great opportunity for criminal justice students or anyone with passion for sharing this kind of information. Tim and Art ball-parked the time involved at eight to ten hours per newsletter. If you are interested, drop me a line and I can put you in touch with them. 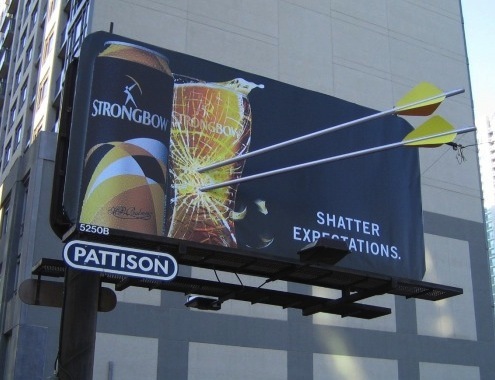 Pattison Outdoor refuses to sell billboard space to Sensible BC? “Marijuana reform campaigners say they’ve been denied billboard advertising space with B.C.’s biggest outdoor ad firm in the key months leading up to their signature drive to force a provincial referendum. The Sensible BC campaign supports a referendum (planned for 2014) to decriminalize the personal possession of marijuana for adults in British Columbia. The basic idea is to free police resources, use tax dollars efficiently and ensure that otherwise law-abiding citizens do not end up with a criminal record. Please volunteer with the campaign, or make a donation. I’m not sure what kind of legal remedy is available (if any) for Sensible BC. Also, it is a bit of a mystery as to why Pattison Outdoor might refuse to sell billboard space to an organization supporting democratic law reform. Oh look, here is a case study showing that Pattison Outdoor helped make Tudor Beer the fastest growing import in Canada. The parent company of Pattison Outdoor is the Jim Pattison Group, which also owns the book of Guinness World Records. I suspect they may have a new record under the category “hypocrisy”.